Zaki arrived in Australia from Sri Lanka at the age of 18 with big dreams, which he planned to achieve after completing his University studies. While initially his parents assisted financially, an unfortunate change in their circumstances meant Zaki suddenly became responsible for his own international student fees, as well as living expenses. As his debt inevitably grew, so did his realisation that he needed to turn his life around, and fast! Zaki began to educate himself about the power of investing, and, with the support of his own personal mentors, gathered the courage and money to invest in various vehicles, including shares and property. In just two years, Zaki surprised everyone, even his mentors, with a successful property portfolio that included 10 properties, totalling $3 million. To date, Zaki owns 15 properties, with the exact number fluctuating according to his own personal investment strategy and market conditions. Gaining profile for his accurate understanding of the power of the human mind and potential, as well as investment strategies that actually worked, Zaki started to be approached by various organisations to speak at seminars and events about wealth creation and personal development. In doing so, Zaki realised he actually enjoyed sharing his story and advice with others. He discovered it was extremely rewarding helping others who were in a similar position that he was in a few short years ago. This led to his creation of Dream Design Property, a unique wealth creation mentoring program that utilises Zaki’s remarkable investment methods and mindset blueprint to guide his clients in beginning their own personal development and property investing journey. Through Dream Design Property, Zaki has now helped many everyday Australians to build a property investment portfolio that would fast track them to the life they always dreamt of. The most important factor behind Zaki’s success in helping others is his realisation that one strategy will not be effective for every client. Each one of them arrive with different challenges to overcome, and varying dreams and goals, as well as separate financial situations. Therefore, Zaki and his team provide an ongoing personalised service that moulds perfectly to each individualised client. The strategy is constantly assessed, to ensure that it is still effective depending on each client’s changing circumstances and needs. 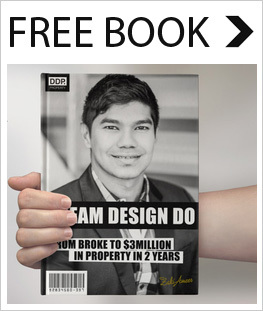 In 2014, Zaki published “Dream IT Design IT Do IT – from 0 to 10 properties in 2 years worth $3million,’’ a book that details his preferred property investment strategies. Within just 30 days of its launch on Amazon, the book quickly amassed 1000 downloads, taking it to the number 1 position for the Buying and Selling Homes category on Amazon. Zaki firmly believes that, by working with a passionate team with the right experience, motivation, skill set and connections, any Australian can turn their life around the way he was able to do, a few years ago. 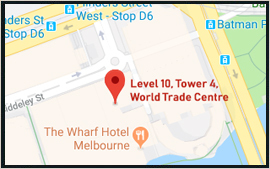 Today, Zaki is approached by local and national media to comment on market conditions and investment strategies, and he continues to provide his services as a guest speaker for various organisations, both within Australia and internationally. Zaki continues to dream big. His next set of goals include opening an office in both Brisbane and Melbourne, to join the Sydney headquarters, and then opening in Dubai to assist Australian ex-pats to invest in their home land. He will also begin Dream Design property retreats in Sri Lanka, so he can share this untouched jewel with other Australians, and he also can give back in gratitude to his home culture and country. Everyone’s dream life differs, and for Zaki, this includes living in the house of his dreams in RUSHCUTTERS BAY, and driving his dream car – a 2014 JAGUAR F TYPE .When he is not personally assisting his clients with their investment strategies, Zaki enjoys travelling to visit his parents in Sri Lanka, as well as exotic locations to broaden his cultural perspective and recharge his batteries. He also enjoys reading, walking through nature trails, long country drives, sitting by the ocean or having a cup of tea by the river .and is especially thankful that, unlike most other Australians, his investment portfolio has allowed him the financial freedom and time to enjoy the life of his dreams.